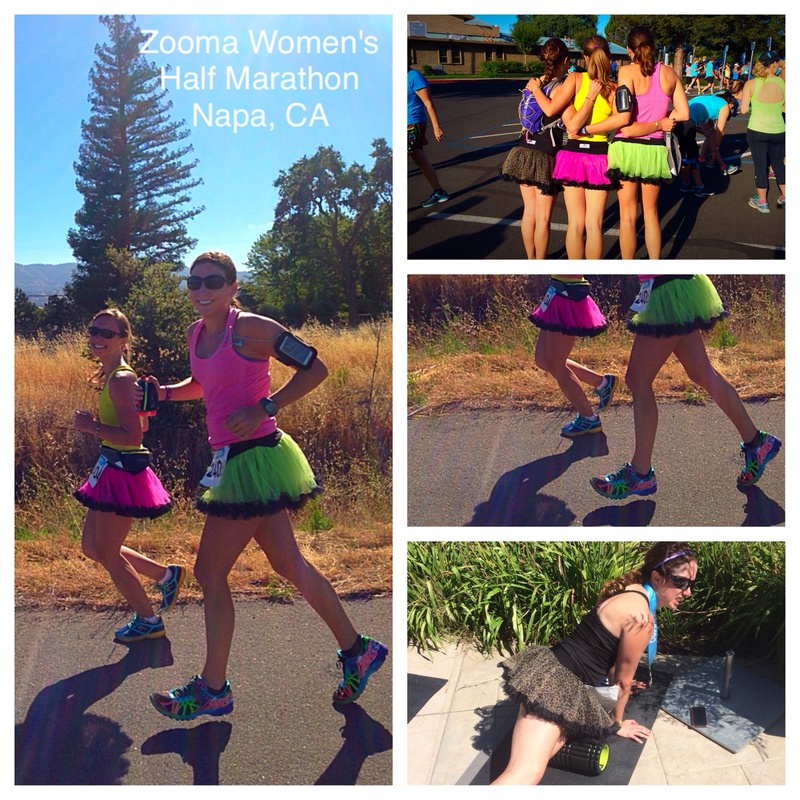 This year’s annual girl’s trip lead us to Napa, CA for the Zooma Women’s Half on June 28th. This was my second half marathon and second destination run. Last year, I ran the Subaru Distance Classic Half in Jax on Thanksgiving Day and also a women’s 5k in Chicago! 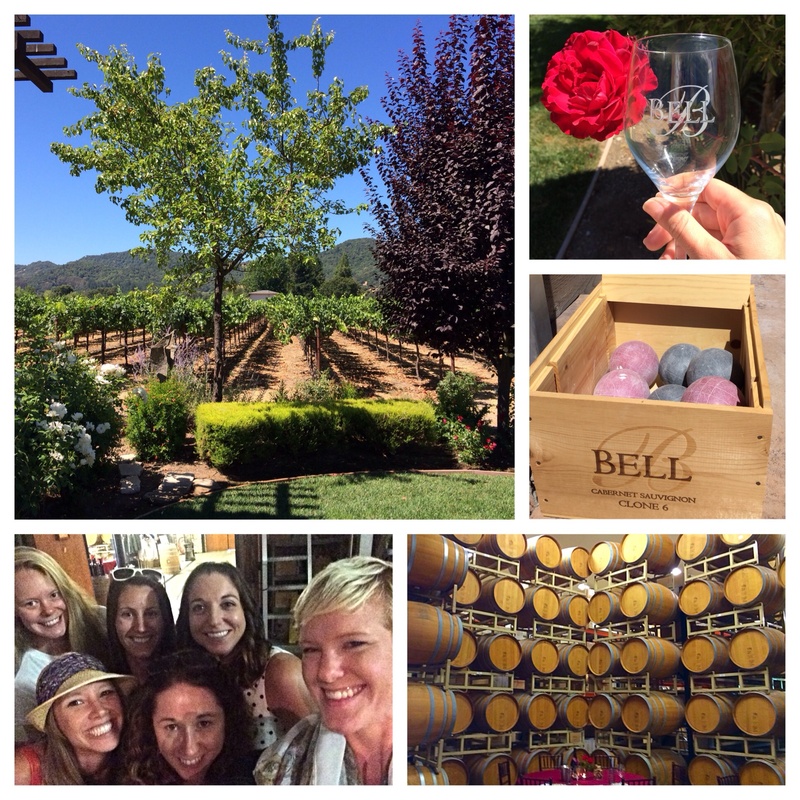 Napa was the perfect girls destination weekend trip! What’s more to love than great food, amazing wine and laughter with wonderful friends? 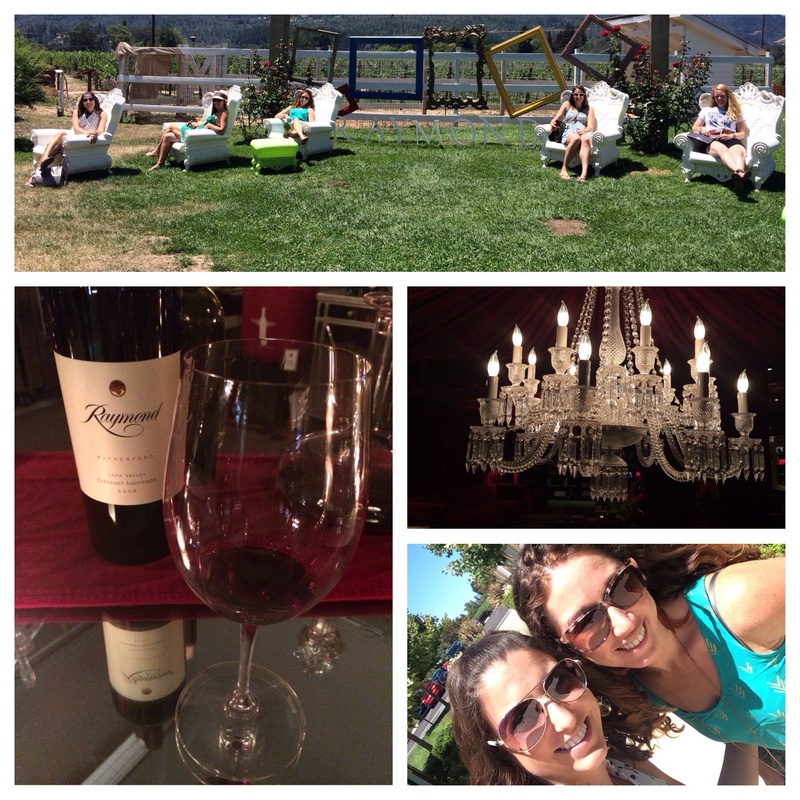 Oh maybe perfect weather… Napa had that too! I took hundreds of pictures and have way too much to say about Napa and all that wouldn’t even do this city justice. If you love wine, this place is definitely worth the trip!! In fact, I don’t think you can do it all in one trip and I already have a list of places to see next time! Napa is about a 1 – 1.5 hour drive outside San Francisco (if no traffic) but feels like it’s a completely different world. The weather perfect… sunny, warm and low humidity ( <— according to my standards), the people are extremely nice (they drink all day) and calories don’t count! So here’s a short recap of our weekend and my favorites of this trip! First things first… drink wine. Eat lunch. Check and check. 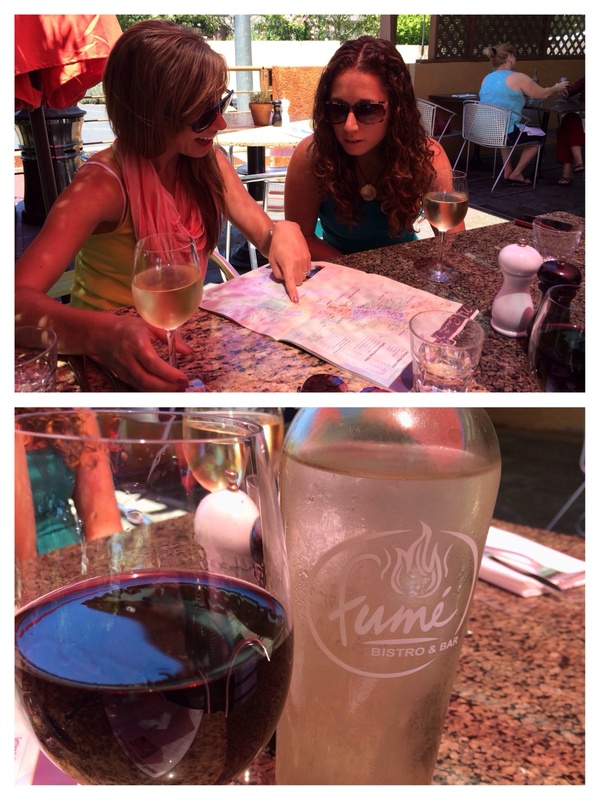 Right around the corner from our hotel, the Napa Winery Inn, was Fume Bistro, a delicious restaurant with great outside seating. This place was great for late night cocktails, early lunch and everything in between! We ended up eating here at least twice and brought our own bottle of wine the last night. So the wine tours (and amazing food) planning process was well under way! The first night we ate dinner at Il Posto, and let me just say, OH MY GOODNESS Italians sure do know how to cook. 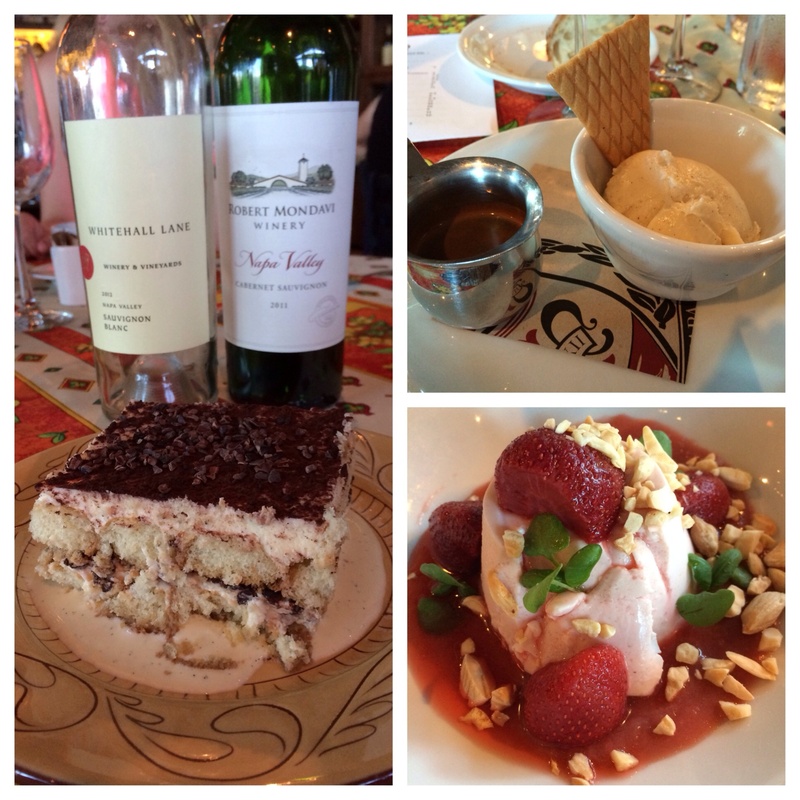 The desserts…. well we couldn’t pick just one so we got three… My favorite, hands down, the affogato. It just sounds Italian, right?! Affogato! Affogato what I ate for dinner because this dessert was so delicious! The next morning we got up super early (thank goodness for carb-loading the night before!) and ran a half marathon! 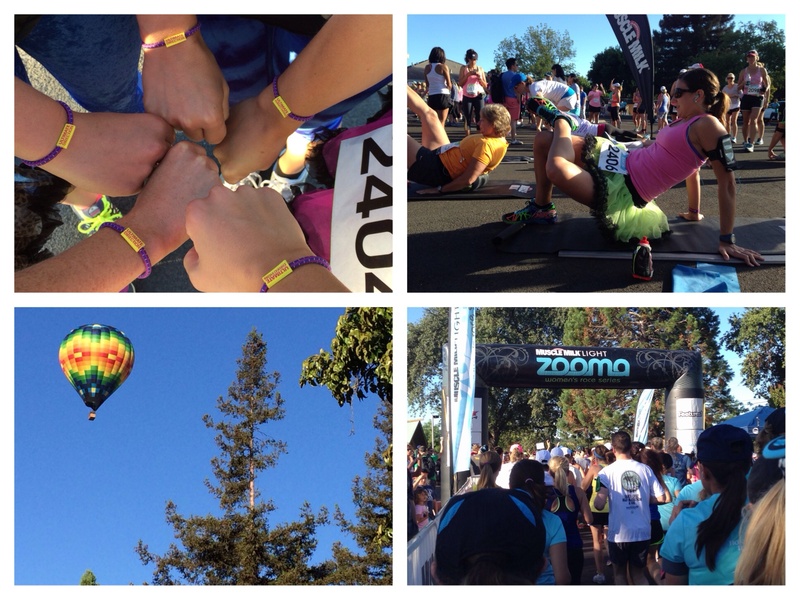 This was the first time the Zooma Women’s Half Marathon Race Series held a race in Napa, Ca. Seriously, what’s more enticing to women than beautiful weather and wine!? 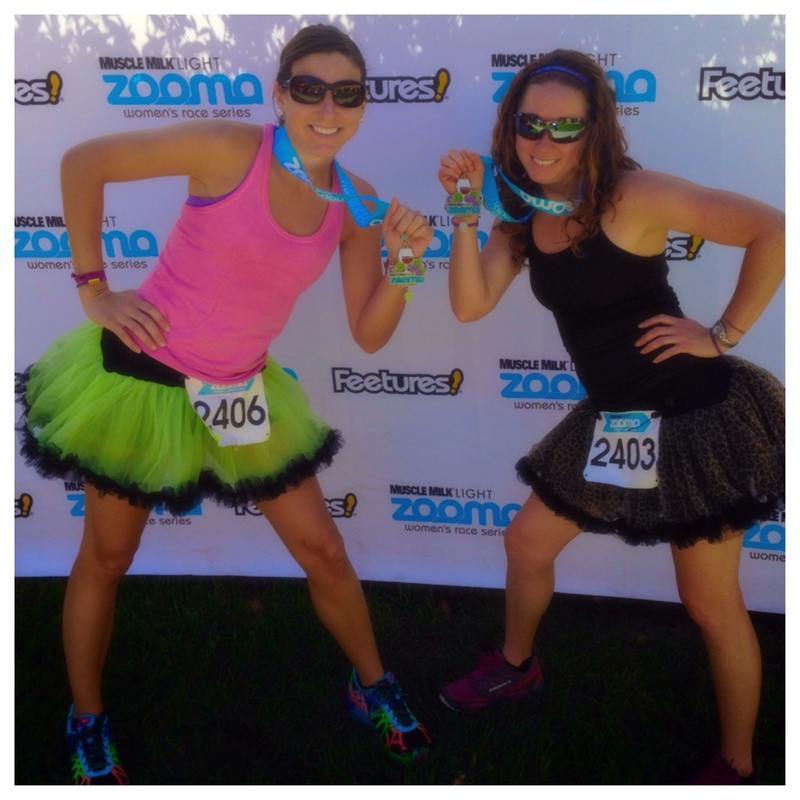 I know, feeling super girly and fun with awesome women and awesome tutus from Tough Girl Tutus! I love, love Tough Girl Tutus. This was my first order from this company but I have since placed a second order. 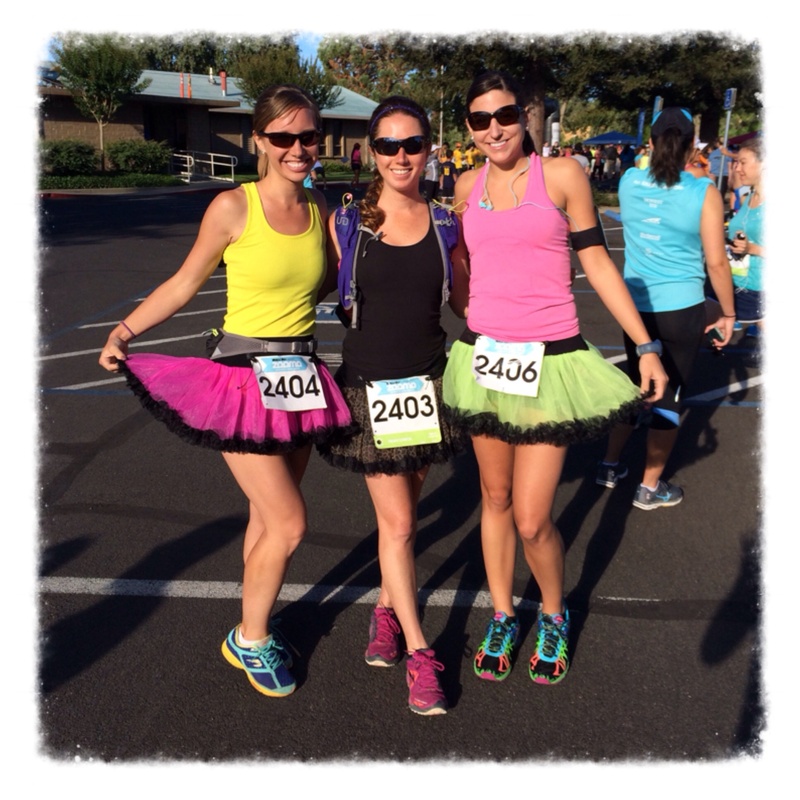 The tutu really is fit for a runner and the colors are so much fun! I emailed Tough Girl Tutus about shipping times and their response was super helpful. The course was beautiful so we thought, why not take a few snazzy pics?! I used my Jenny Collection Handy 10 water bottle during the full 13.1 miles! This was a great size for the race and allowed me to hydrate with Gatorade between water stops. I actually run with this often because I hate searching for fluids on runs, especially in Florida! After the race, I was feeling pretty tired but the thought of wine tours and more amazing food was enough to keep me going… and so we went! 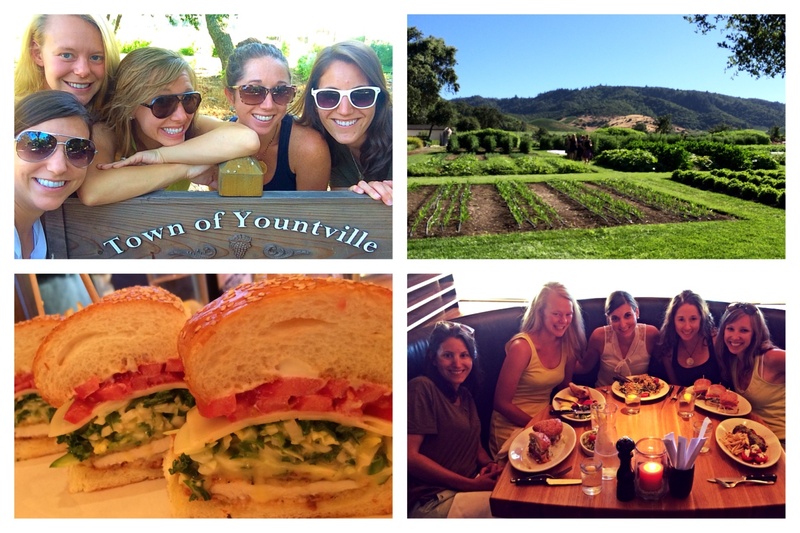 Off to Yountville! I would definitely stay in this little town within the Napa Valley. It has great restaurants and many wine shops with tastings on the main street. The last full day was even better! We went on two tours of vineyards and both could not have been more different from each other. 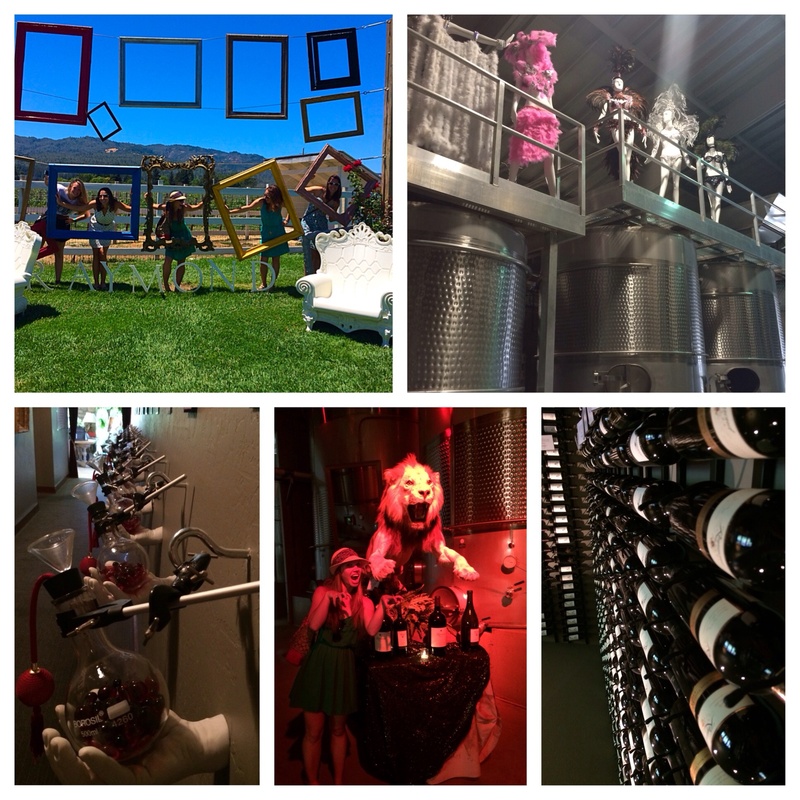 Our next stop was a crazy-interesting-must-go-to-see-for-yourself winery. Raymond Vineyards. The wine was amazing, the atmosphere even better. I don’t think I’m a wine connoisseur and nor can I comment on wine tasting other than my own preference but Napa wine is definitely top notch! I feel alittle wine-isticated (<— note to self, not a wino if you use that term!) after this trip and every glass I’ll remember, swirl and sniff! Not sure how the next girl’s trip can top this one, but I can’t wait to find out! Any recommendations for destination races? 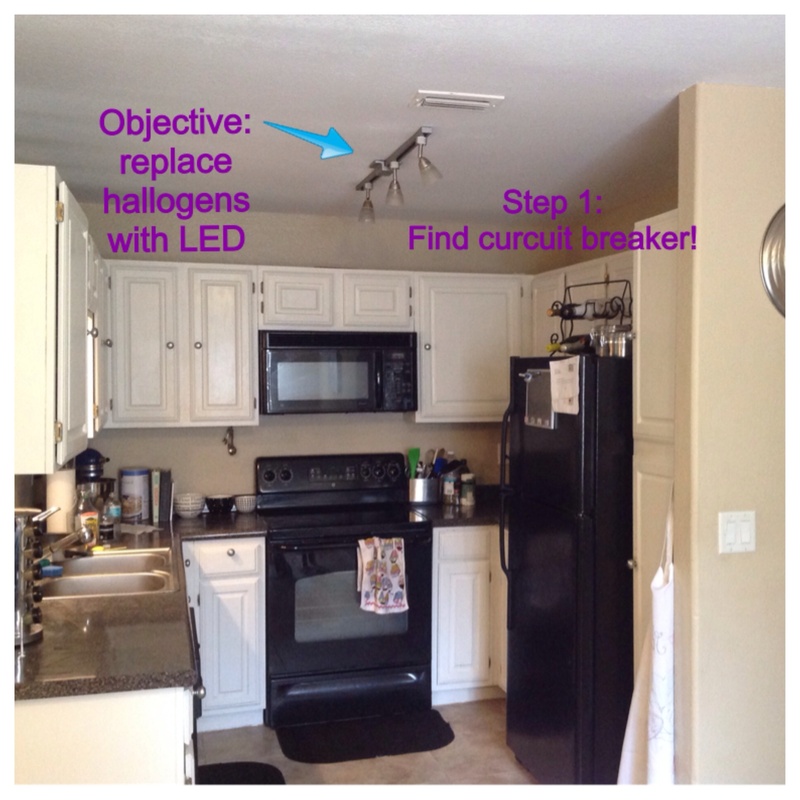 DIY but don’t forget to turn off the electric! This weekend was a super productive weekend! One of those, let’s-finish-that-day-project kind of weekends. So I had my list and headed out to Home Depot early. Have you ever asked someone if you can help them with something but you say it with teeth grinding? Like you want to seem like you’re being nice but really hoping they say no, thanks anyway? Well I had one of those moments in Home Depot. One of the employees asked me if I needed help in the light area (note: girl starring at a bunch of lights with a sample from home in one hand and a phone in the other searching YouTube always needs help!! 🙂 ) So I said “yes, actually I do….” And went on and on about the light project. My question was followed by “I was going to call someone for you. Dennis can help you. I work in garden and don’t know much about this.” Well then, that was definitely one of those where this sweet lady was probably hoping I would say no, I don’t need help 🙂 But I did appreciate her calling Dennis! 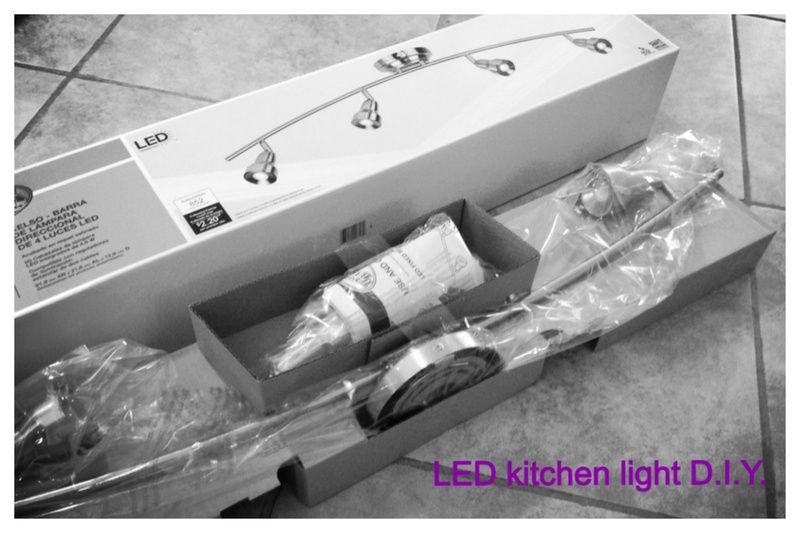 The result, a Hampton Bay Kelso 4-Light Brushed Nickel LED Track Lighting box. With my screwdriver in hand, it was down with the old…. and up with the new! I’m pretty impressed with my work. I mean, the lights worked the first time! 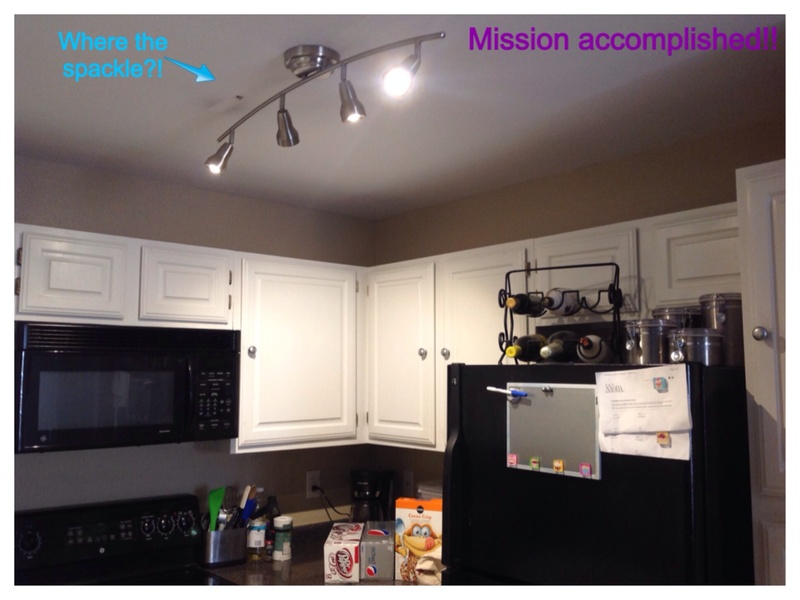 These LED lights save so much energy! I can touch them when they are on and not get burned! <— who touches track lighting lights, anyway? This wasn’t my only project this weekend! 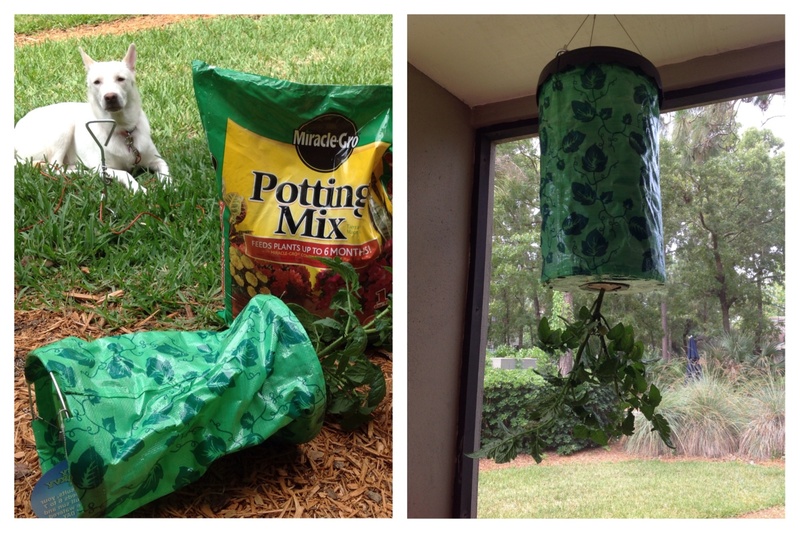 I bought a Topsy Turvy Tomato Planter a long time ago but never put it together. While at Home Depot (and thinking of that garden lady) I took a trip out to the garden center and consulted with the experts. The result, my new cherry tomato plant! Also on the shopping list was spackle! Time to fill in all those random holes in the walls from old tenants and do some touch up painting! Did you do any DIY projects this weekend? What’s on your to-do list that you haven’t been doing for some time? You know that moment when you read an an ecard and think to yourself “HA, ya that’s me” or “yup, agreed?” Well I had an all too perfect moment of this last night. So naturally I thought hmmm what do I ‘need’ for my half marathon training? I decided I needed a foam roller (as a precautionary measure and to avoid physical therapy later) and new running shorts (because it gets hot in Florida and a girl’s gotta look better than she feels). Then I had a coupon for $10 off $50 (double plus!!) and since my total wasn’t quite there, new ear buds were a must have as well. Really couldn’t get much more perfect than that! I am now t-minus 4 days to my CPA exam and besides having nightmares that I completely tank it, this was another ecard I had to laugh, and agree, with. In all honesty, my training really did only consist of getting gear to look the part! (yikes… procrastinator?!) 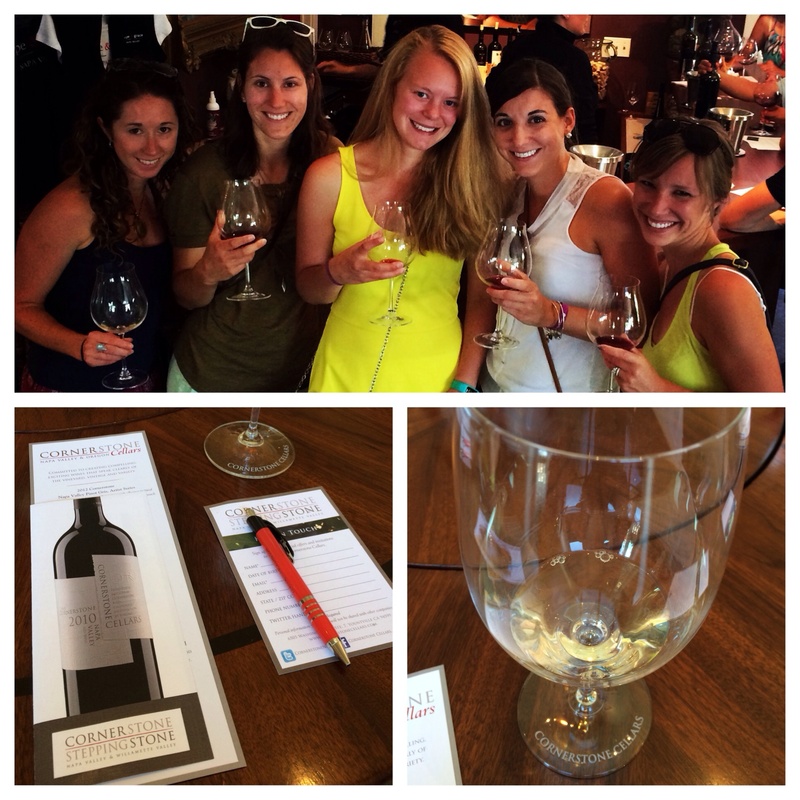 Oh and since my half is in NAPA, I thought I would start training for all aspects… vino tasting, oh course! Zooma Women’s Half Marathon in Napa, here I come! What’s your “yeah, that’s so me” ecard? 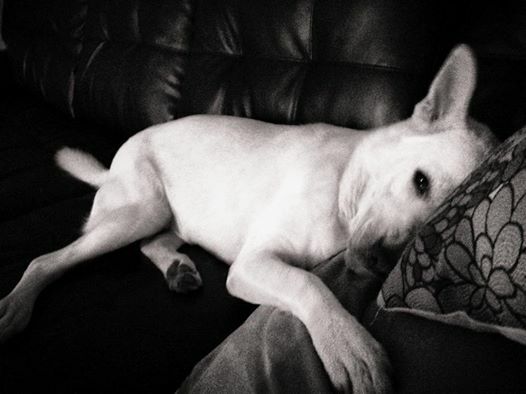 Now that my dog, Emmie, is asleep laying down for a brief moment, back to the studying I go!